Ross and Norris McWhirter a year before the Guinness Book of Records was published for the first time. I have updated the story of Ross McWhirter and the Balcombe Street gang with some extra pictures and some great music. On the 22nd October 1975, the very same day that the Guildford Four were wrongly convicted of a pub-bombing, a man telephoned the large Holland Park home of the Conservative MP Hugh Fraser and his wife, the author Antonia Fraser, and asked what time the MP left in the morning. The cook, who had answered the telephone, innocently told the caller that it was usually around nine. 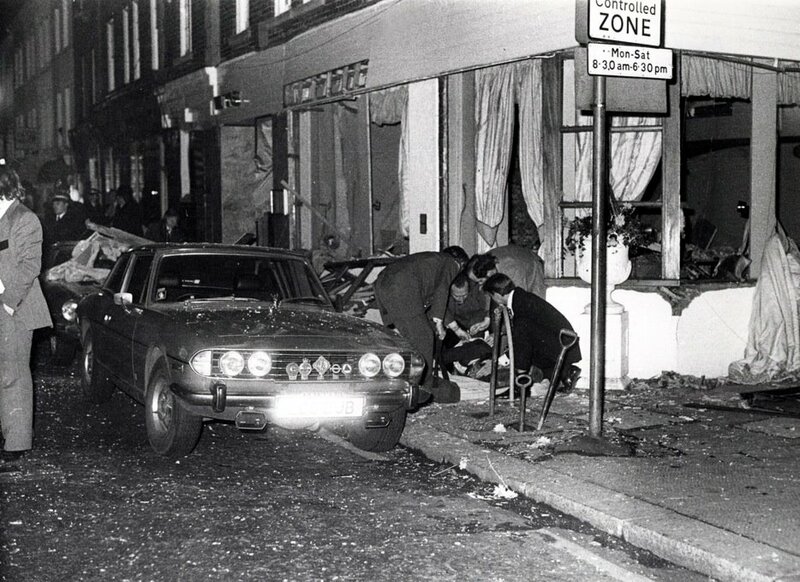 During that night someone planted a bomb underneath one of the wheels of Fraser’s Jaguar XJ6 that always stood outside his house in Campden Hill Square. The next morning Professor Gordon Hamilton-Fairley, a neighbour of the Frasers and an internationally renowned cancer specialist, was out walking his two dogs. He noticed a strange device underneath Fraser’s car and bent down to investigate. He accidentally activated the bomb’s ‘anti-handler’ micro-switch and, along with his two poodles Benny and Emmy Lou, he was killed instantly. Had Jonathan Aitken not called at 8.45am that morning, delaying the departure of Fraser and his guest Caroline Kennedy (she was in London attending an art appreciation course at Sotheby’s), they would have died instead. This bomb was only one of 40 explosions set off in the capital by the Provisional IRA in a 14 month bombing campaign over 1974-5. It left 35 people dead and many more injured. 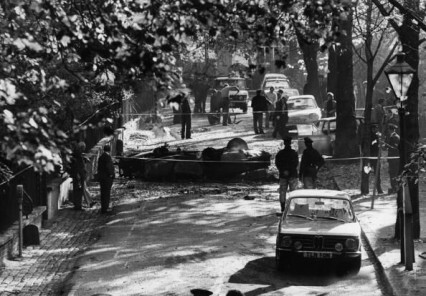 The IRA Active Service Unit that was responsible for the Professor’s death in Campden Hill Square was actually responsible for the bombings for which the Guildford Four were infamously tried and wrongly convicted. 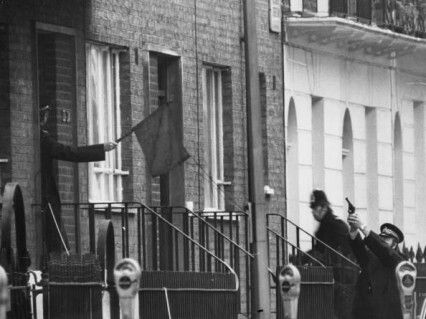 Edward Butler, Hugh Doherty, Martin O’Connell and Harry Duggan were all in their early twenties and all from the Irish Republic (which meant that they were more difficult to trace by the British police). After the Campden Hill Square mistake the ASU reverted their attention to prominent ‘ruling class’ restaurants such as the Trattoria Fiore in Mount Street, W1 which they bombed on the 30th October, injuring 17 people, and Walton’s restaurant in Walton Street in Chelsea where they killed two diners. At this stage the inhabitants of London, if not panicking, were starting to think twice about going for something to eat in the West End and the restaurants were becoming virtually empty. At a news conference the right-wing Ross McWhirter, one of the twins who created the Guinness Book of Records, offered £50,000 for information leading to the arrest of the terrorists. 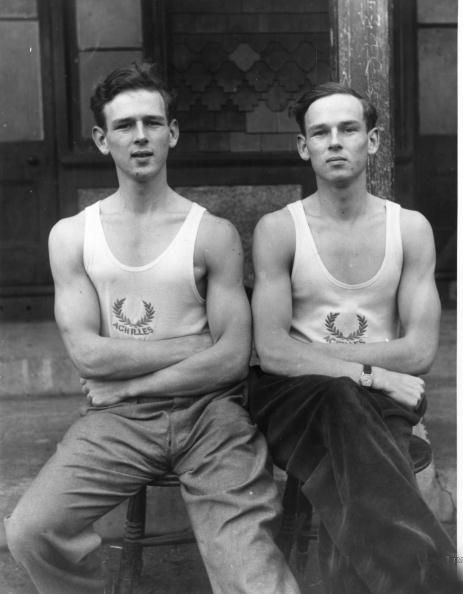 Ross and Norris McWhirter in 1953, a year before the first Guinness book of Records was published. 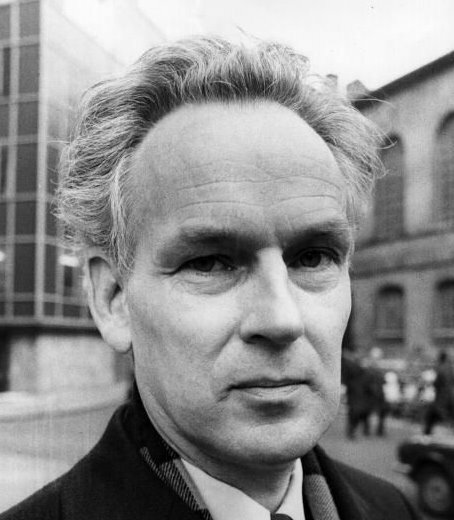 Ross McWhirter in the year he was murdered. 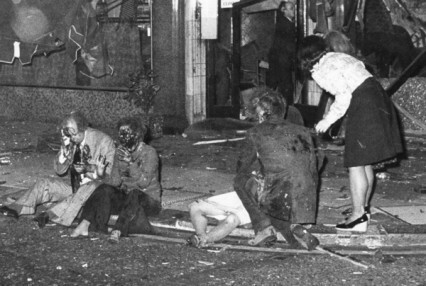 By now the IRA ASU were acting as if it WAS the Wild West. 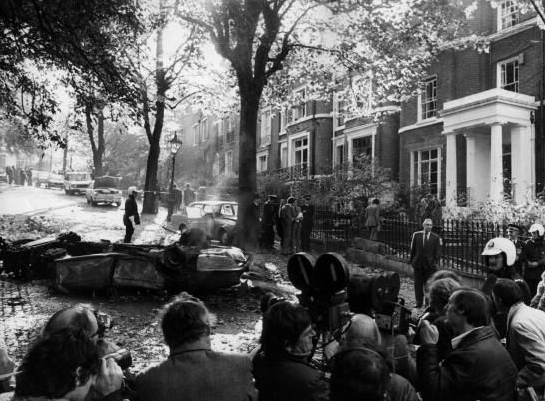 They were seemingly able to drive round bombing and shooting at ‘ruling class’ restaurants and hotels at will. However on the 6th December 1975 their luck ran out. The gang had stolen a blue Cortina and were spotted by an observant policeman who noticed that they were driving unnaturally slowly. Following them, he incredulously watched them brazenly open fire at the Mount Street restaurant they had attacked only a few weeks earlier. 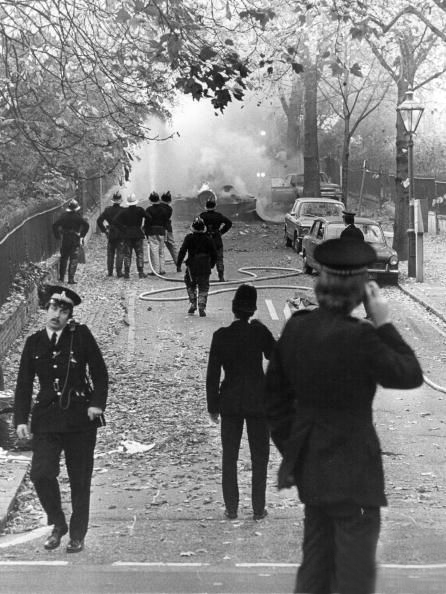 Along with fellow officers who had heard his radio call, the policeman followed the four members of the ASU, now on foot after abandoning the car, to Balcombe Street near Marylebone Station. On the way, the gang and the police were now exchanging gunfire at each other with shocked members of the public diving out of the way. Meanwhile at number 22b Balcombe Street, John and Sheila Matthews were watching an episode of Kojak both presuming, unsurprisingly, that the gun shots they could hear were coming from the television. Suddenly the gunmen burst in through the door and took the couple hostage, unfortunately Telly Savalas was nowhere to be found, and an epic six day siege had started. The seige was a carefully directed Metropolitan Police operation and they were determined not to create ‘martyrs’ of the gang. On the sixth day, with the gang becoming hungrier and hungrier, some sausages, brussels sprouts, potatoes and tinned peaches and cream were lowered down to the flat by the police and with 25 minutes the whole gang surrendered. 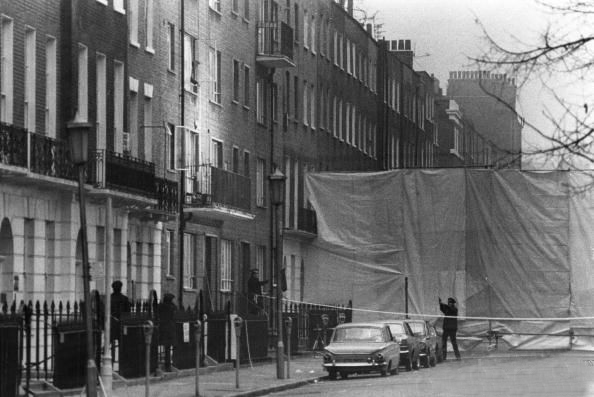 The Balcombe Street gang were in the end responsible, in a ferocious burst of IRA activity during five months in 1975, for fifteen murders. 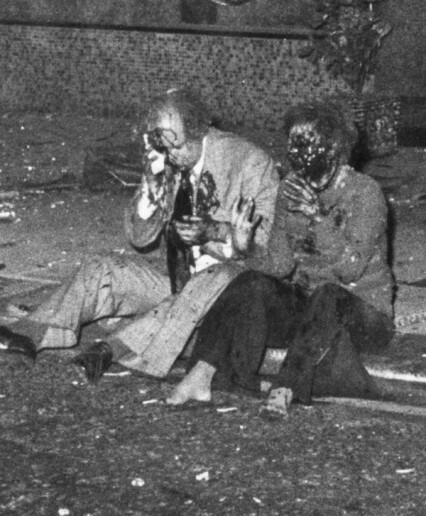 The no-warning attacks included the Guildford and Woolwich pub bombings which together killed seven utterly innocent people. 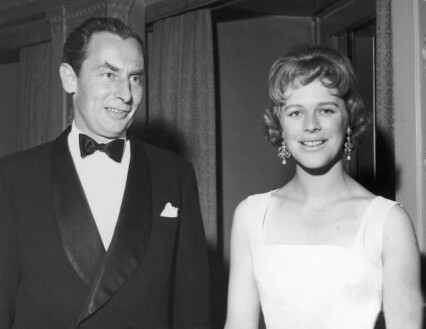 Relatively soon after the IRA bomb had accidentally killed her neighbour in Campden Hill Square, Antonia Fraser left her husband for Harold Pinter, eventually marrying him in 1980. The couple lived in the same house in Campden Hill Square until Pinter died in 2008. 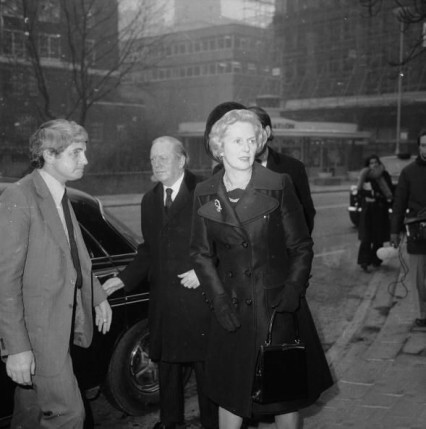 Her former husband, Sir Hugh, died of lung cancer in 1984. In 1998, a fortnight after the Good Friday Agreement, the Balcombe Street gang made a dramatic appearance on the platform of a special Sinn Fein conference in Dublin (they were now in prison in Ireland but the Irish Government gave them a special day-release for the conference). There was ‘stamping feet, wild applause and triumphant cheering’ while the four men stood grinning with clenched fists in the air. At the conference Gerry Adams described them as ‘our Nelson Mandela’s'! They had come home as heroes. Hmm.